Chinese traditional festivals are variety in forms, and plentiful in content. The forming process of Chinese traditional festivals is the agglomerate process of Chinese culture. All the Chinese traditional festivals are original for ancient time, and they are important parts in Chinese culture. All the festivals began in Qin dynasty(almost 2200 years ago), and through a long-time development, the contents became plentiful and various. 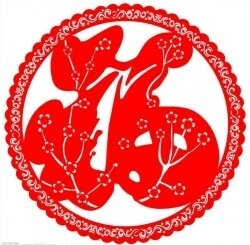 Among them, Spring Festival, Lantern Festival, Tomb-sweeping Day, Dragon Boat Festival, Double Seven Day(Chinese Valentine's Day, Mid-autumn Festival, and Double Ninth Day are the seven main Chinese traditional festivals. Moreover, Spring Festival, Tomb-sweeping Day, Dragon Boat Festival and Mid-autumn Festival are national holidays from 2008. I do not know whether you have noticed that every festivals has its own unique food, such as dumpling, glue pudding, zongzi, mooncake. There may be some difference in different place. In my home town, we do not eat dumplings in New Year's Eve, but we always hold a rich dinner, all the family members sit around the table. And we do not go to bed until the midnight. In all festivals, the Spring festival is the largest and most popular one. All family members must gather in this festival. If you want to experience Chinese traditional festival, you'd better come in the Spring festival period. Spring Festival is the first day in the lunar calendar. In China, people celebrate the Spring Festival from January 1th to January 15th(the lunar calendar). The Spring Festival has 4000-year history. It is the most busy and grand traditional festival. The origin of the Spring Festival is a legend. In ancient China, there was a monster called 'nian' (means year in English), and it was very fierce. It lived in the seabed all the year, but climbed out in the last day of the year(the lunar calendar). This monster entered into the villages to eat animals and humans. So, all people escaped to the remote mountains to avoid the monster in the end of the year. One year, people in the peach blossom village were escaping to remote mountains, and an old man came to the village at that time. All people were in a hurry, so nobody noticed him, but an old lady gave him some food and persuaded him to hide into remote mountains. But the old man smiled and said: If you let me stay at your house one night, I would beat off the monster for you. In midnight, the monster entered into the village and found that there were some difference comparing with last year. It found the old lady's house was very strange. The door was pasted red papers, and house were full with candles. The monster has a little fear, so it called a strange sound. At this time, there were explosive sounds from the yard, and the door was opened. The old man came out in red. Seeing the old man in red, the monster was afraid and run away. The next day, all people came back, and found the village wasn't destroyed by the monster. People found that the old lady house was very different, and there were many firecrackers in the yard. That was the good way to beat off the monster. So, from that year, people pasted red couplets on the doors, burned firecrackers, and lit candles all the nights. Gong Hay Fat Choi! Chinese new year is 01/23/2012! Ship out immediately from California! Chinese celebrate Lantern Festival on January 15th(the lunar calendar). January 15th is the first night which has a full moon in a year, and it is the first traditional festival after the Spring Festival. According to Chinese folk custom, people always light thousands of lanterns in this day to celebrate it. The streets are busy in this night. All people go out and gather in the streets. In streets, you can eat glue pudding(tang yuan), guess lantern riddles, and appreciate fireworks. People always hold a lantern parade in this night. In the lantern parade, the dragon-lantern dancing, also known as the dragon-dance, is usually the most eye-catching. What is the Tomb-sweeping Day? A cowherd points to a village amidst apricot flowers. In China, people celebrate Dragon Boat Festival on 5 May(Chinese lunar calender) every year. On that day, Chinese people always eat traditional Chinese rice-pudding(zongzi), hold dragon boat race, hang Chinese mugwort leaf(a kind of Chinese medicinal herb), and drink realgar liquor. From 2008, Dragon Boat Festival is one of Chinese national holiday, and all Chinese have a day off on that day. On 30 September, 2009 Chinese Dragon Boat Festival was added to The world human intangible cultural heritage list of masterpiece. 1) A festival to commemorate a filial daughter named CaoE. CaoE was a 14-year girl who lived in East Han dynasty(almost 2000 years ago). One day, her father got drunk in the river. She had been finding her father' body along the river, but could not be found after several days. After 17 days, she jumped into the river and drown herself on May 5. And she carried with her father's body and floated on the river. In Spring Autumn period, a patriotic general from Wu nation died unfairly, and became an immoral. People in Wu nation felt sadly for him and held a memorial ceremony for him. 3) It is a festival for Sun. Some people think that Dragon Boat Festival is festival for sun. In China, there is a festival for moon, that is mid-autumn festival. 4) It is a Chinese traditional festival when Chinese Han nation people to commemorate Qu Yuan. This legend is wildly accepted by Chinese people. Qu Yuan(340 BC --- 278 BC) is the first Chinese romantic poet. Qu Yuan was born in a downfallen royal family of Chu nation. He was was diligent and studious when he was a Child, and he has a big ambition in his mind. After he grew up, he became a learned person and was appointed as the prime minister of Chu nation, and get trust from the emperor of Chu(Chu huaiwang). He often discussed national affairs with Chu emperor, and joined in the formulation of low. Thanks to the hardworking of Qu Yuan, Chu nation got enhanced on national power. Qu Yuan was honest and frank in work, so he did not want to associate with evil persons, then he was trapped by those evil persons and was evicted out of capital. In 278 BE, Chu nation was conquered by Qin nation. His political idea was destroyed, and got depressed on future. He wanted to dedicate himself to service Chu nation, but now Chu was conquered, and he could not change the result, so he only died to express his ambition. On 5 May, 278 BE, Qu Yuan jumped into Miluo river and drown himself. After Qu Yuan jumped into Miluo River, local people heard that news and they paddled boats to rescue him. They boats flowed to Dongting Lake(the second largest freshwater lake in China) along MiLuo river, but they have not found Qu Yuan's body. That day was a raining day, so all the boats in Dongting lake were collected at the shore. When these freshmen heard that they were salvaging Qu Yuan, they started off again in the rain. All people wanted to find Qu Yuan's body quickly, so they paddled their boats to Dongting lake competingly. At last, they have not found Qu Yuan's body. To express their grief on Qu Yuan, so they held boat race on May 5 every year. This is the origin of dragon boat race. Local people were worried about that fishes and shrimps would eat Qu Yuan's body, so all people went back home to took rice rolls and threw them to the river to feed fishes and shrimps. They hoped that all fishes and shrimps would be full up, so they would not eat Qu Yuan' body. From that year, they made Zongzi on May 5 every year, and threw to river to feed fishes and shrimps. This is the origin of Zongzi. Chinese people celebrate Mid-autumn Festival on August 15th (the lunar calendar) every year. On that day, the moon is the most full, so it is the symbol of family reunion. Mooncake is the necessity on Mid-autumn Festival. Have you ever experienced Chinese traditional festivals?